Are Splitting Nails Becoming an Uncomfortable Problem? Is a Dead Toenail Driving You Nuts? Are Your Itchy Toes Feeling Like a Campfire? What causes white toenails and how do I fix them? 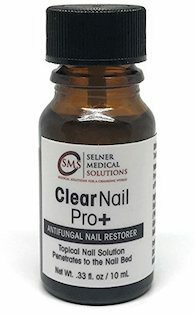 Is my black toenail caused by fungus? I have thick toenails – what does that mean? Is Toenail Discoloration Bothering You? Athlete’s foot is just one of those things that just about everyone has to deal with at least once in their life. Many go down to their local store, purchase an OTC medication or cream, and can get rid of it in 2-4 weeks. Problem solved. There are some folks, however, who do not respond to those medicated lotions and creams. A stubborn case of athlete’s foot sometimes needs a multi-faceted effort to be cured, which may even include prescription medication from your doctor. The chart below will let you find the at-home treatment method that could work for you. Now we are unable to tell you what your doctor might recommend for a tough fungal problem, but we can take an in-depth look at some if the proven and effective home remedies for athlete’s foot that will work on their own, or as part of a comprehensive treatment plan. Just remember to let your doctor know which of these remedies you’re using if you need to talk about getting a prescription for this fungus problem. #1. Remove the moisture problem. The reason why athlete’s foot can be such a problem is because of your sweaty feet. Athlete’s get sweaty feet because of their activities, but you don’t have to be an athlete to have your feet sweat. Just spending all day in your shoes as you sit in the office can get most feet sweating enough to create the perfect conditions for this fungus to grow. This means the most effective home remedy for athlete’s foot is to remove that moisture. You can do this in several ways. • Starch. Sprinkle any type of starch on your feet and it will begin to absorb the moisture from your sweat. Consider sprinkling some in your socks and shoes as well. Leave it on for 5-10 minutes and then just brush off. If the starch becomes pasty, then you’ll need to rinse your feet off or change out your socks. • Different Shoes. Your feet might be sweating because of the structure of your shoe. Try to wear sandals or flip-flops if you can to let your feet breathe and naturally stay dry. If you can’t change out your shoes, then try to take them off for about 15 minutes every 2 hours to let the feet breathe. • Baking Soda. It makes your shoes smell better and it will dry out your feet at the same time. Liberally sprinkle baking soda into your shoes, your socks if you prefer, or coat your toes with it before putting on your socks. #2. Consider using Betadine. Betadine has been used for more than 40 years to fight topical infections in homes and in hospitals. It is a combination antiseptic that can be used to treat athlete’s foot, scrapes, scratches, and other surface skin conditions. It does contain iodine, so it may not be suitable for those who are sensitive to that antiseptic. If you are allergic to many tints or dyes that can be in products, then consider investing into the Betasept antiseptic surgical scrub instead. It contains chlorhexidine gluconate at a 4% solution without the tints or dyes that will affect your allergies. #3. Use a hydrogen peroxide soak. The bottle of hydrogen peroxide that you can pick up at the store is already at a 3% solution. You can take a cotton ball, soak it with this solution, and then apply it directly to your athlete’s foot. Just rub the solution lightly on the skin until it becomes moist and then allow it to air dry. If you prefer more of a foot soak because your skin is sensitive due to the fungal infection, then one pint of hydrogen peroxide goes into 1 gallon of warm water. Let your foot soak for up to 30 minutes and then allow your foot to air dry for best results – which may take another 30 minutes. #4. Simple soap and water, then allow to dry. In the janitorial industry, there’s a saying that goes something like this: “The cleanest surface you can have is a dry surface.” This also applies to your feet. Simple soap and water for your feet, with complete drying, is a very effective way to cure athlete’s foot in 3-4 weeks. In order for this to work, you’ll need to make sure that you’re washing your feet in the right way. This means working the soap between your toes under warm running water for 30 seconds. If you sing the “Happy Birthday” song slowly, then you’ll have about the time you need for one foot. #5. If you have blisters with your athlete’s foot, then consider using Burow’s solution. Burow’s solution is an astringent which is designed to treat the itching and inflammation that can be associated with a severe case of athlete’s foot. It is available from most pharmacies and stores that sell OTC medications, but may be under several different brand names. What allows Burow’s solution to work so effectively is that it is a solution of aluminum acetate. Created initially by Dr. Karl August Burow, it is a non-ototoxic that works for allergic reaction rashes, poison ivy or oak, and even treating ingrown toenails. For best results when using any Burow’s solution product, be sure to follow any manufacturer’s instructions and use warm water. Powders and tablets may also be available to help you treat indication-specific issues with your athlete’s foot as well. #6. Tea tree oil is always a popular home treatment for athlete’s foot. Tea tree oil, which may also be called melaleuca, is a common treatment for athlete’s foot, other miscellaneous fungal infections, and even acne because of its slightly acidic nature. It is even recommended for cleansing out some wounds. There is more than 70 years of research that backs the effectiveness of this product. You can apply tea tree oil in a variety of ways. Put 5-10 drops of the oil onto a cotton ball or swab and apply it directly to the affected area. You can also mix lavender oil, lemon oil, or orange oil with tea tree oil to cover larger areas if the athlete’s foot has spread from the initial infection point. If you don’t start seeing the first results from using tea tree oil in 14 days or less, then you can also combine it with oil of oregano to give it an extra “kick” of strength. As an added benefit, you can also use the tea tree oil on any problematic warts or skin tags you may have and it will work to remove them in about the same amount of time as it takes to cure your athlete’s foot. #7. Use a bleach water soak. Do not soak your feet in straight bleach – especially if you have blisters from your athlete’s foot infection. You’ll burn your skin and put yourself into a world of pain. The best solution is to mix just 1 tablespoon of bleach into a half-gallon of water. Then soak your feet just once per day for a maximum of 10 minutes to start getting results. Even with this dilution, you’ll risk burning your feet if you keep the soak going longer than 10 minutes. When you dry off your feet, remember to use a towel you don’t care about since the bleach may discolor it. You might also notice your foot or leg hair changes color due to the bleach exposure. Don’t shave off your hair until you’re finished with the bleach soaks to minimize discomfort. #8. Be proactive about avoiding additional fungal exposures. You can be treating the athlete’s foot at home all you want, but one barefoot exposure in the gym shower is all that is required for the problem to keep going. Anywhere that may cause a potential exposure is a place where you won’t want to be walking around barefoot. This also means that you’ll need to disinfect common surfaces where the fungus may like to linger. You’ll need to use bleach or a strong disinfected rated to kill fungi on the floor of your shower and in your bathtub on a weekly basis while you’re dealing with this athlete’s foot infection. It’s also a good idea to bleach your socks and wash them separately from other clothes to prevent the unintentional spreading of this fungus to other parts of your skin. Proactive treatments must also involve other members of your family who may be exposed to the fungus. It does no good to treat your own foot fungus while someone else in the household gets it and doesn’t treat it. That will just cause all of you to pass it around over and over. Have everyone treat their feet and other contact areas, even if the symptoms of athlete’s foot have not yet started. #9. Apply grapefruit seed extract directly to the fungus. Full strength grapefruit seed extract is reported to have significant antifungal benefits. You’ll need to apply the full strength extract directly to the patchy, flaky, or cracked areas of skin where you suspect athlete’s foot has occurred. This will need to be repeated 2-3 times every day until you begin seeing results. Grapefruit seed extract is available online and at many local health stores. You can apply it as a liquid or dust your feet with it if you purchase it in the powdered form. You’ll receive better results when you purchase grapefruit seed extract from a manufacturer that offers lab-tested verification of the product with guaranteed purity. #10. Add garlic to your diet and to your feet. Raw garlic also provides a natural antifungal activity. Many avoid this effective home remedy for athlete’s foot because they are concerned about the smell it may cause. Raw garlic is not as concentrated as dried garlic, however, which means the smell is very mild. An easy way to take advantage of what raw garlic can do for your feet is to take a clove, cut it in half, and then stick that half-clove between the toes which are affected by athlete’s foot. You can place half-cloves between all of your toes for proactive treatments in areas that do not have a fungal infection as well to limit its spread. Keep the garlic half-cloves in place for 20-30 minutes for best results. Rub the garlic into the skin at the beginning of the treatment cycle and then once again at the end of the 20-30 minutes for best results. If you are having trouble keeping the half-cloves in place, you can wrap your foot in clear cellophane to maintain the integrity of this treatment option. Adding garlic to your diet will also help your body begin to naturally combat athlete’s foot and other fungal infections. Just a clove or two of garlic to your food will work, but it must be raw or only lightly cooked to provide the best results. Try stirring in two tablespoons of raw minced garlic just before serving your final meal for an easy way to include more garlic in your diet. If you don’t have access to raw garlic, then add two tablespoons of garlic powder to olive oil or coconut oil and then apply the mixture directly to your affected toes or areas of the foot. There is an increased garlic smell with this method and it may take 3-4 weeks to see results instead of 2-3 weeks, but it does work for most people as an alternative to raw garlic. If you’re athlete’s foot issue does not clear up in 1-2 months, even when using effective home remedies like these, then it is time to make an appointment with your doctor. Effective home remedies for athlete’s foot are affordable. They are proven to work. Each treatment option even fits in with your current daily routine. This means you don’t have to deal with the cracked, itchy, and burning skin any more. You can cure your athlete’s foot and make your toes happy once again. Do you have an effective at-home treatment for athlete’s foot that we didn’t list here? Did you try one of our methods? We’d love to hear what your experiences have been with at-home treatments and the results you were able to achieve. Leave a comment below. Pure clove oil with carrier oils 1:1 solution. Kills the pain of the blistering and cracking and dulls the itch. It’s antiseptic and anti fungal so it helps with healing the skin as well. I’m doing Betadine soaks as well. It's time to get a product that works.